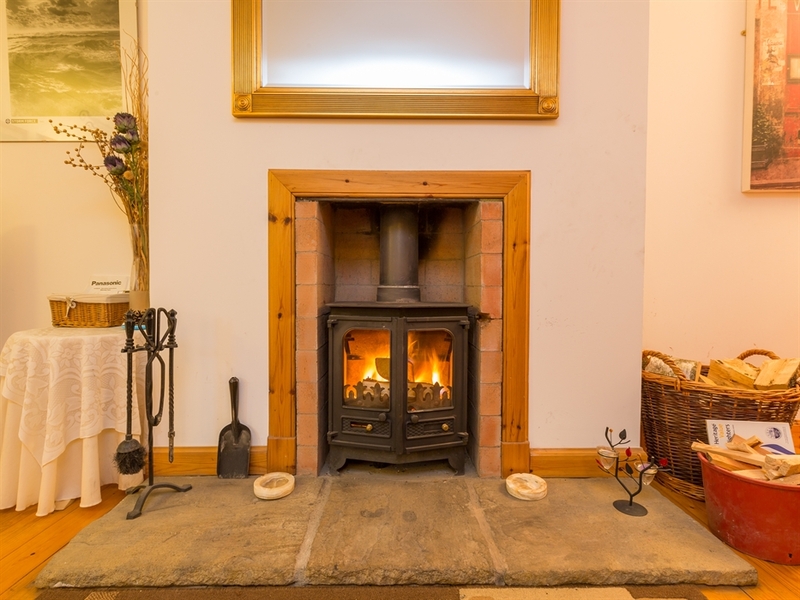 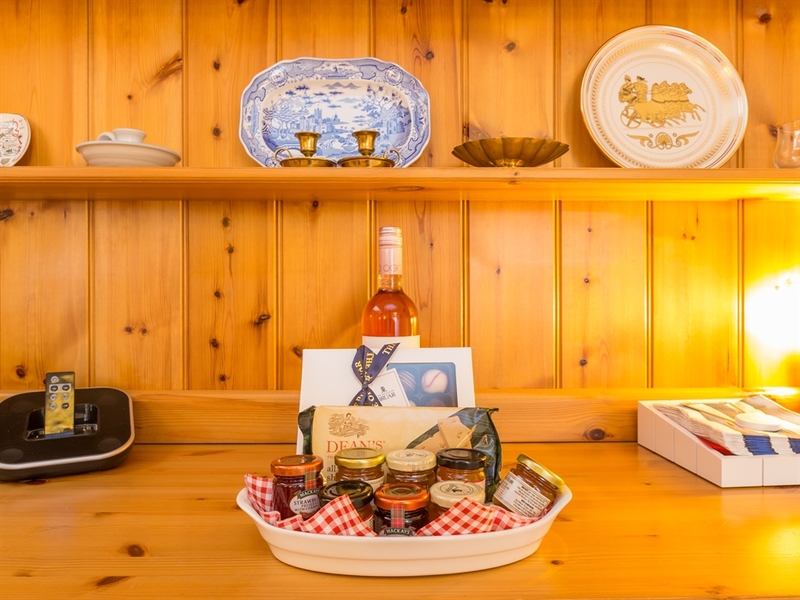 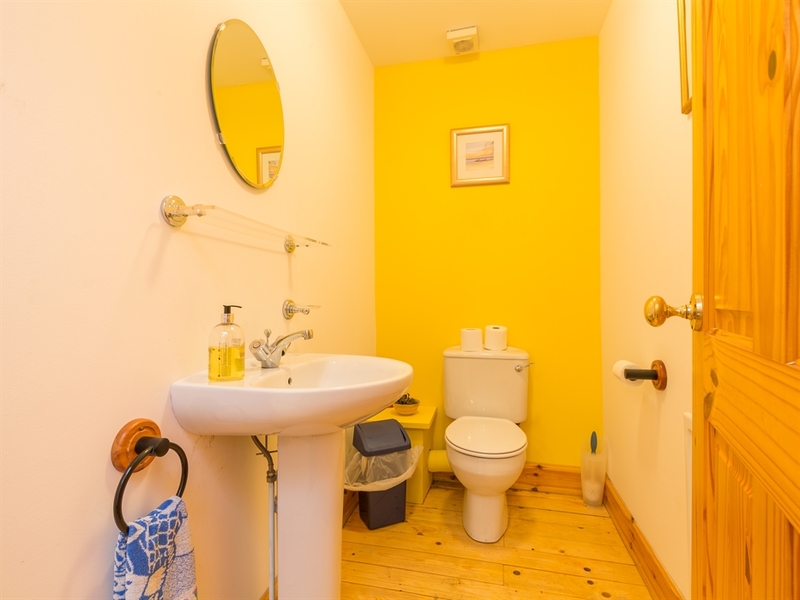 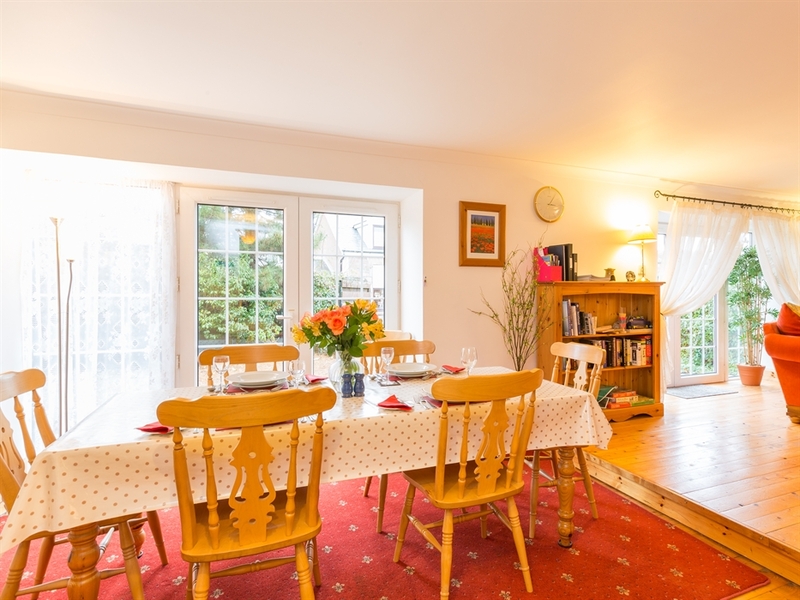 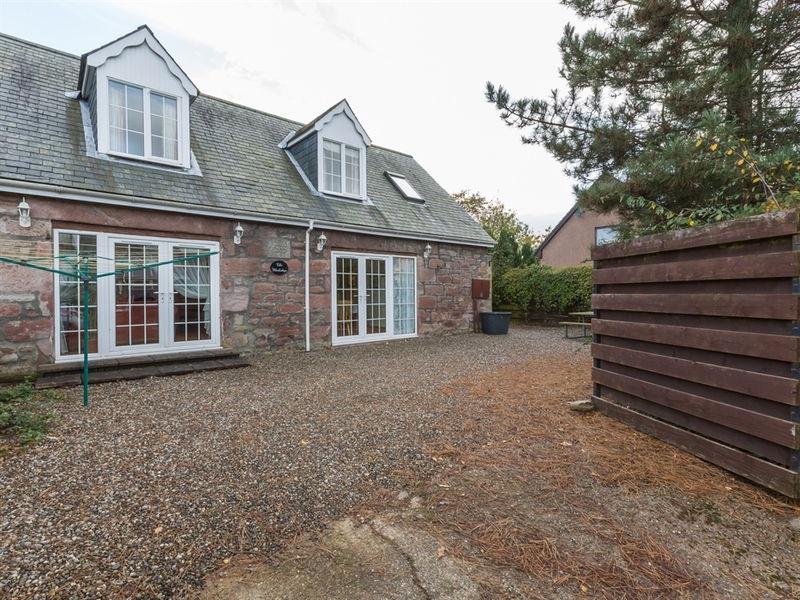 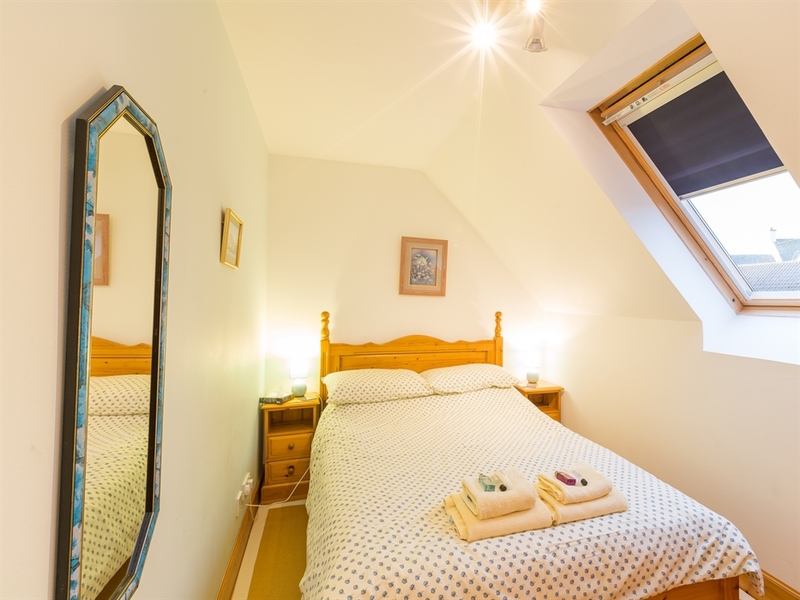 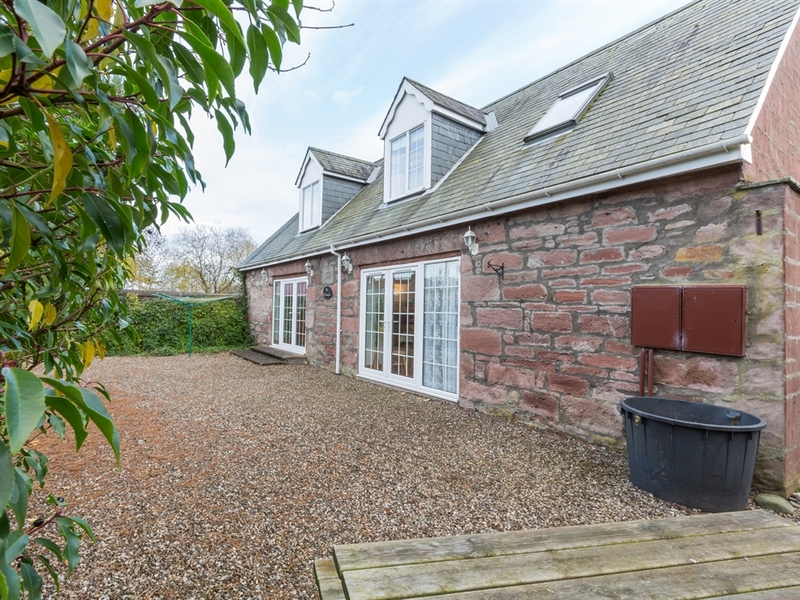 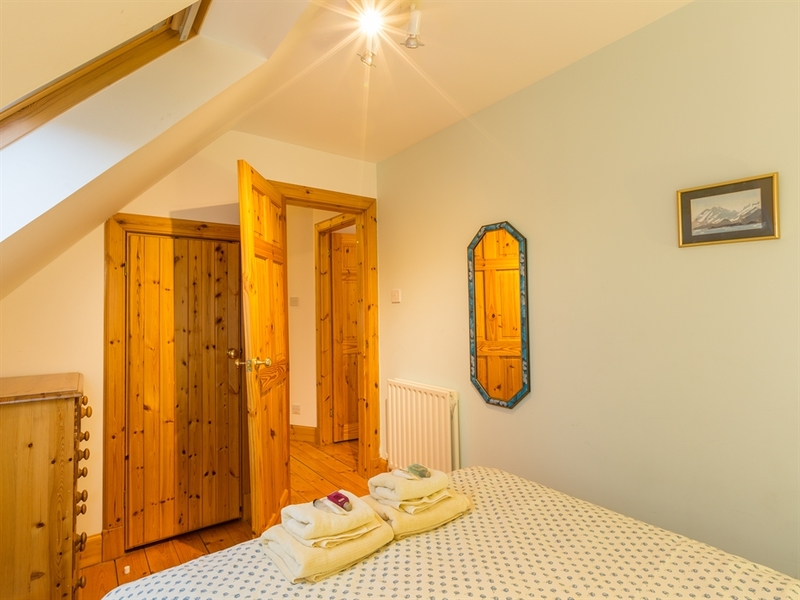 The Workshop has been converted into a gorgeous modern holiday cottage which is both welcoming and comfortable, situated by the burn in the centre of the ancient Perthshire town of Alyth. 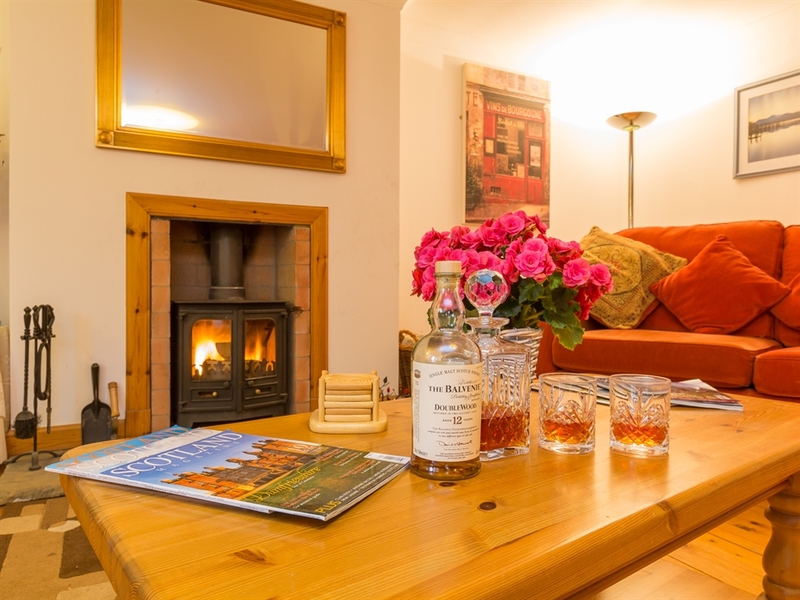 Located by the burn in the centre of the ancient Perthshire town of Alyth, The Workshop has been converted into a stylish holiday modern cottage which is both welcoming and cosy. 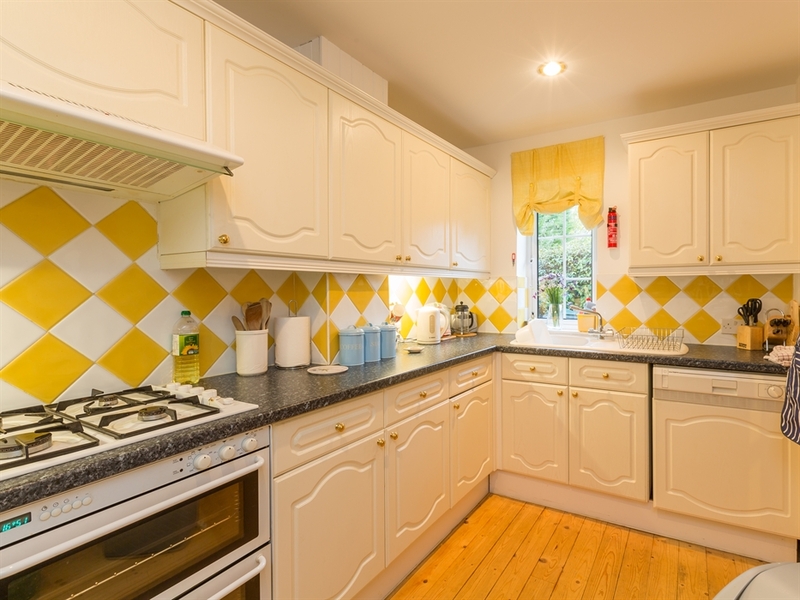 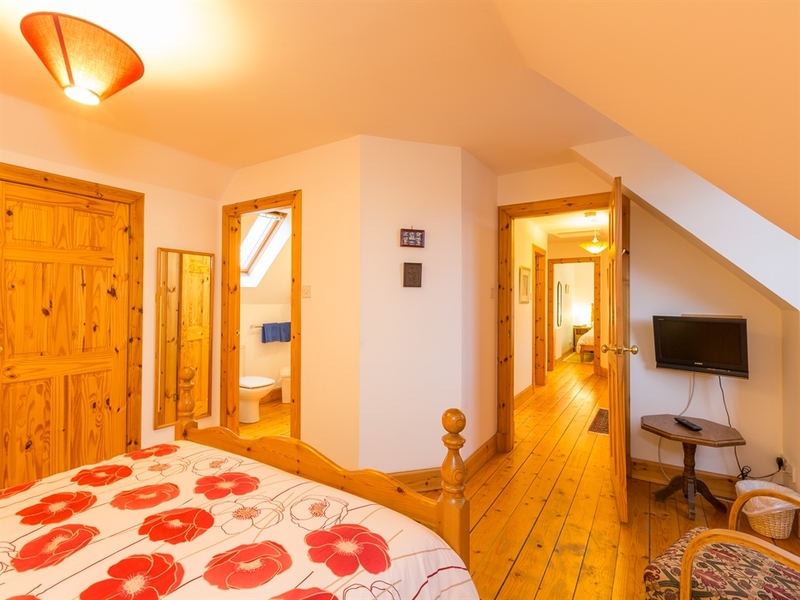 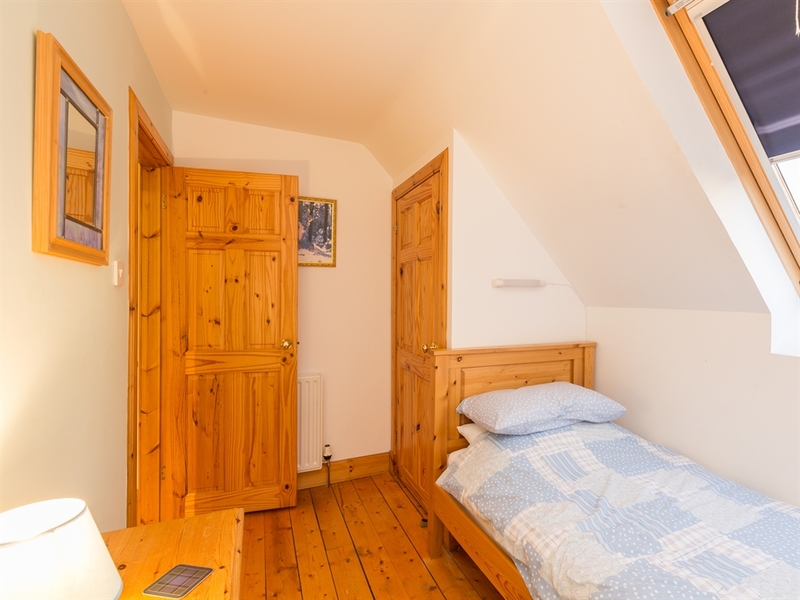 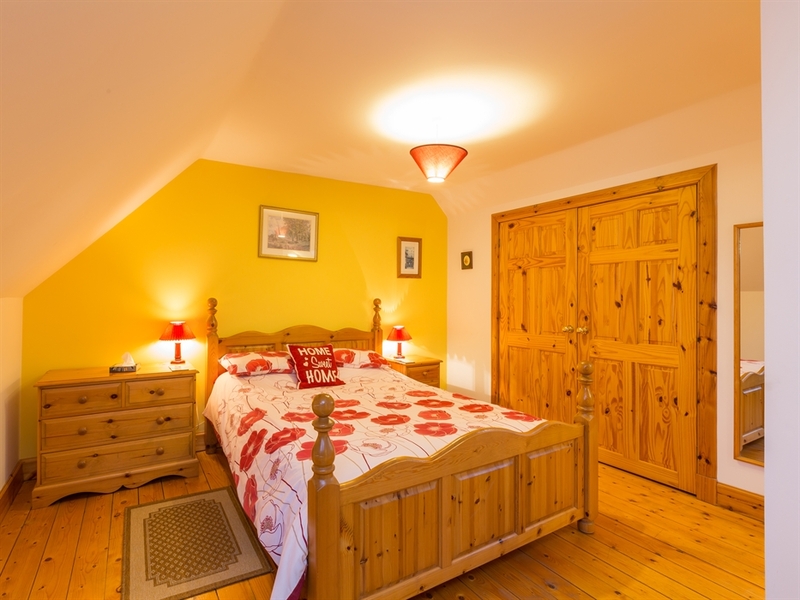 It has wooden flooring throughout, comfortable furnishings, and is very well equipped. 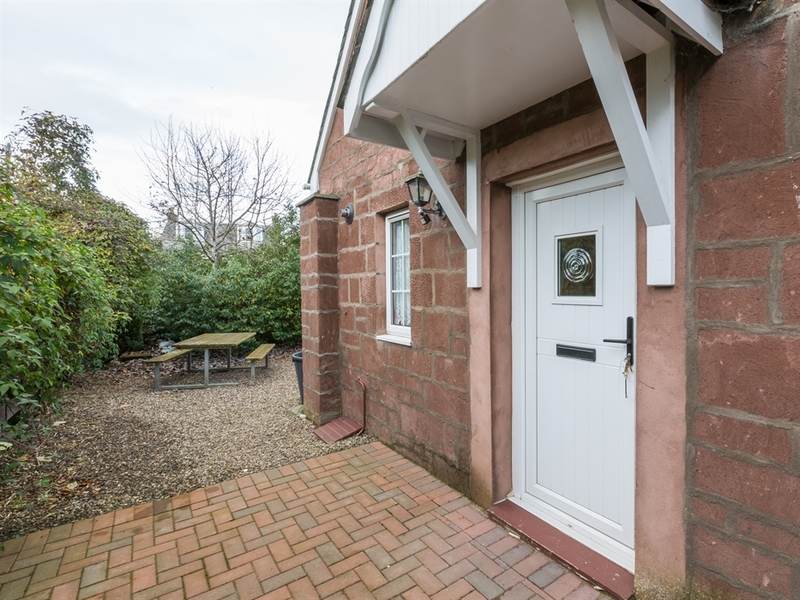 The entrance hall at the side accesses the kitchen, utility room and a downstairs cloakroom with WC and WHB and a stable door leads to the large, open plan, split level lounge and dining area. 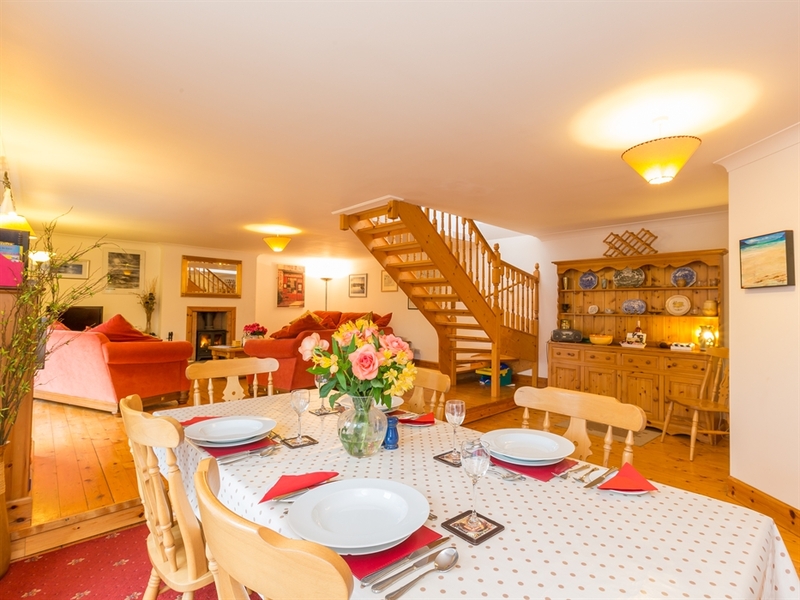 Open timber stairs lead to the first floor rooms via a spacious landing. 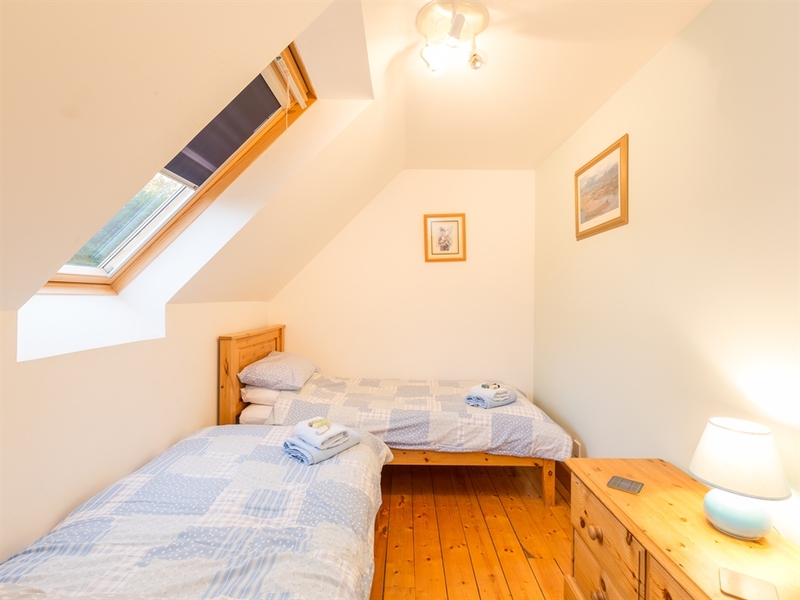 20% discount for couples off-peak. 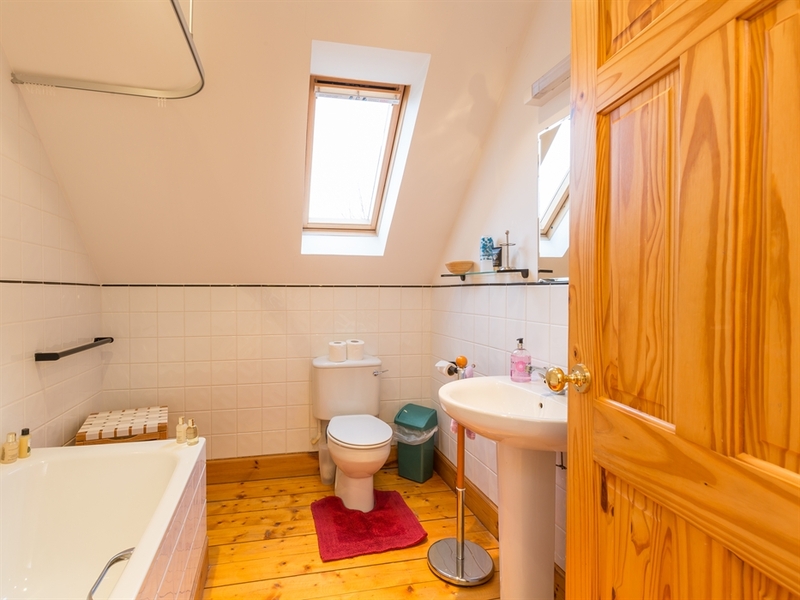 Kitchen, utility room, cloakroom with WC & WHB. 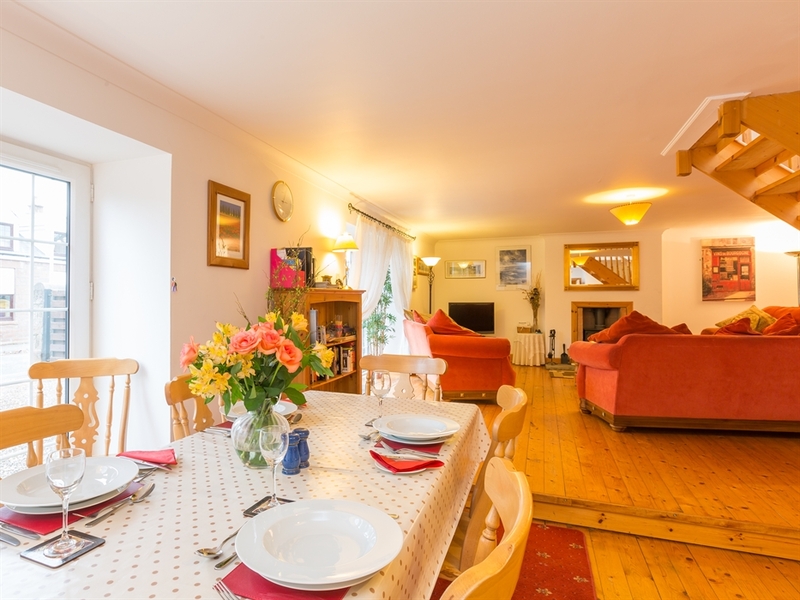 A large open plan split level sitting/dining room contains a table to seat 8, three large comfortable sofas surrounding a multi-fuel stove. 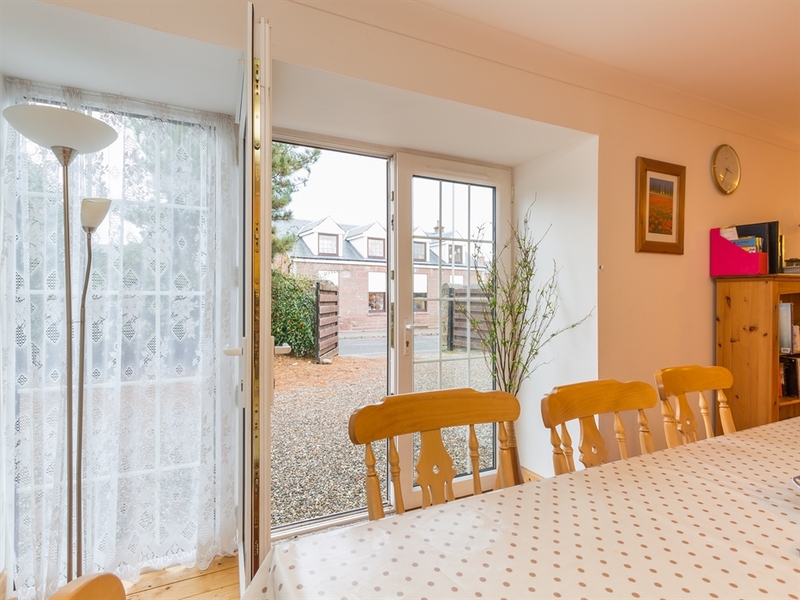 Two double patio doors open onto the courtyard garden. 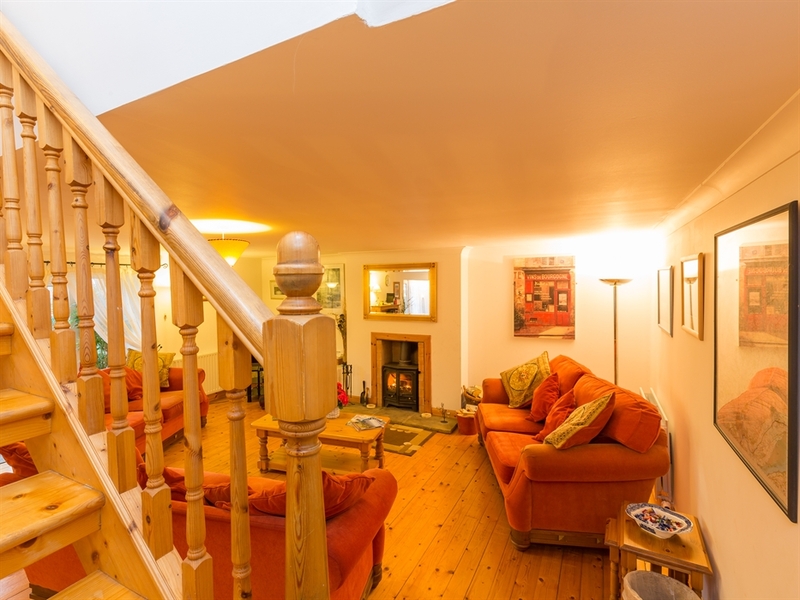 Landing with reading corner. 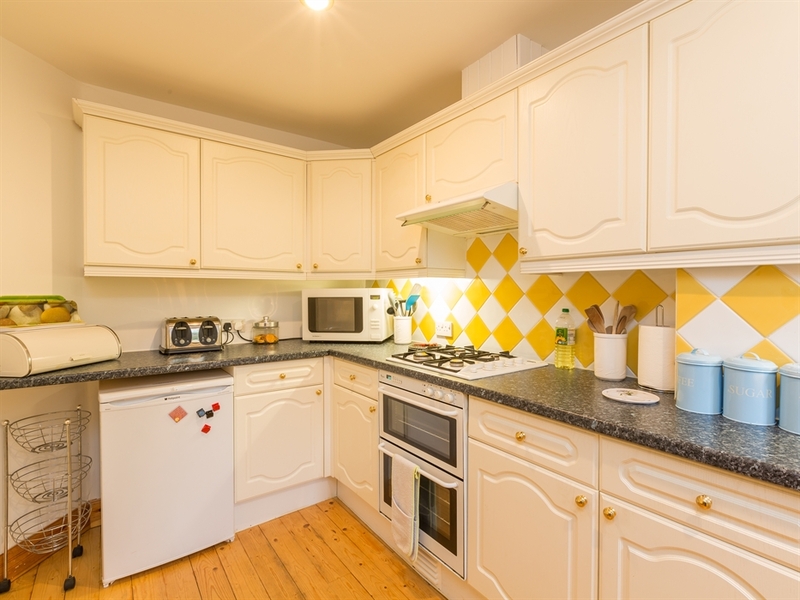 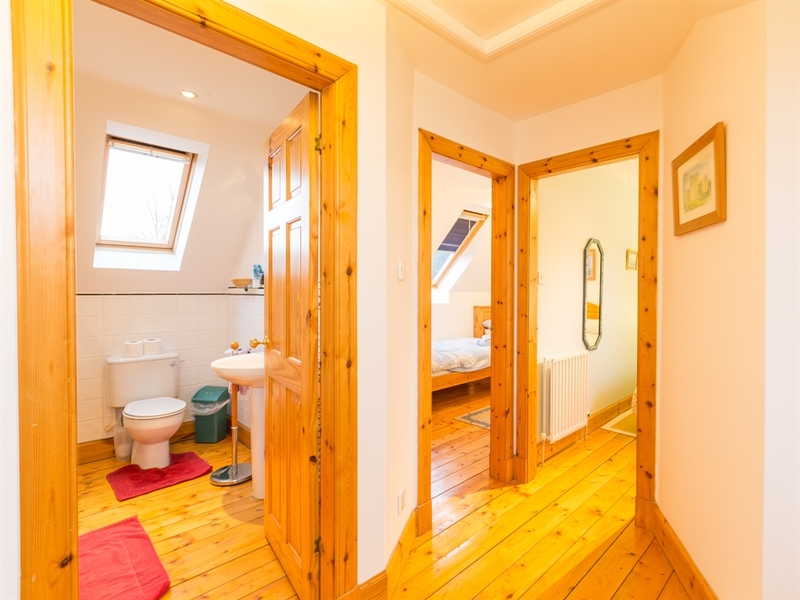 3 bedrooms with fitted wardrobes: 1 king-size en-suite (shower, WC & WHB); 1 double; 1 twin. 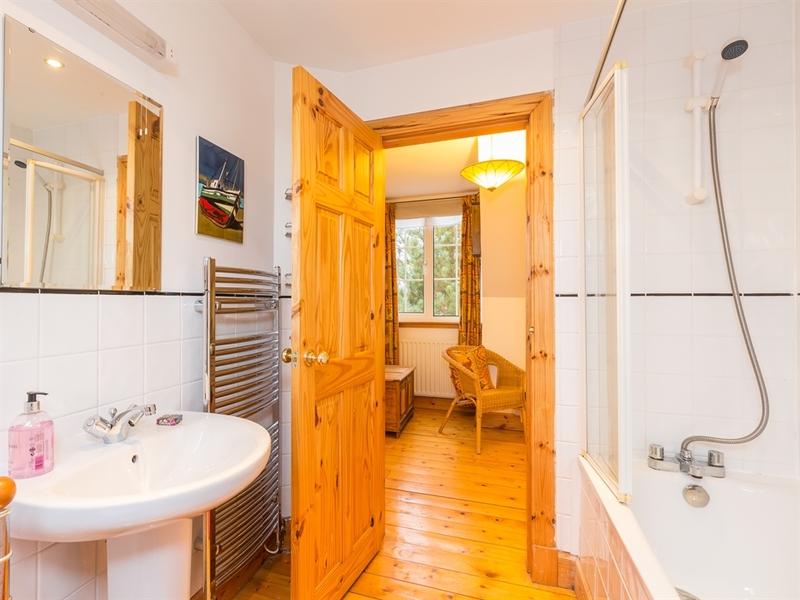 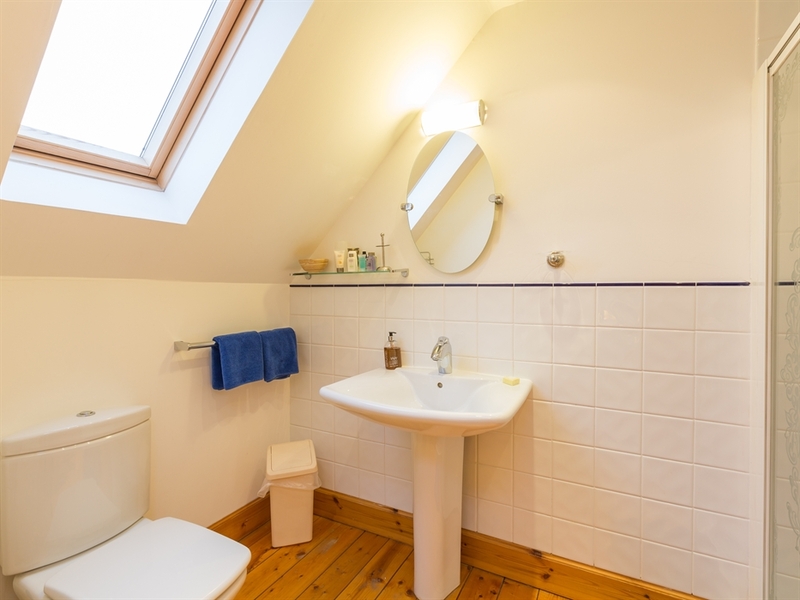 Family bathroom with shower over bath, WC, WHB & heated towel rail. 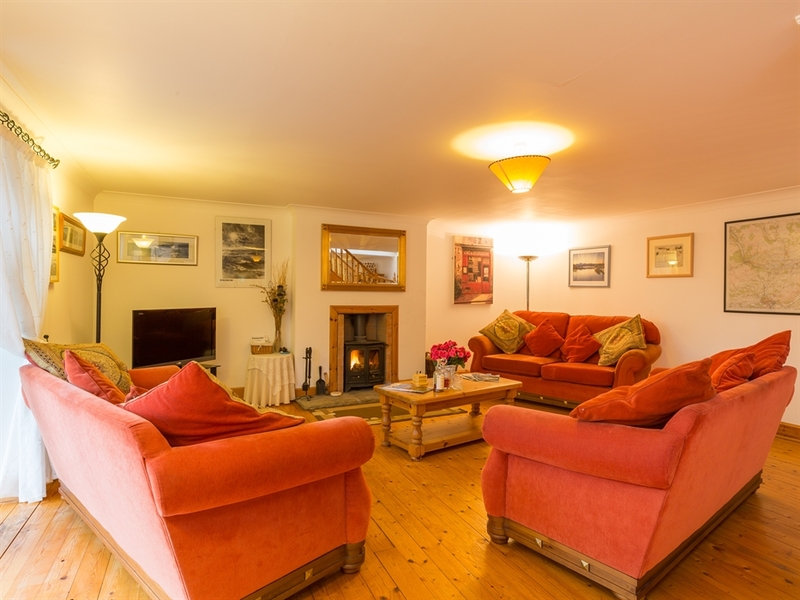 20% discount for couples off and low seasons on full week bookings.